If you’ve been playing Modern over the last few months, you may have noticed an interesting trend in the metagame results: no one deck is top dog. While a familiar cast of characters inhabits the top of the charts, it seems as if any one of them can do well in a given tournament, all while a steady stream of new or left-for-dead archetypes throw their hats into the ring. This article is the first of a two-part series that breaks down the deckbuilding implications of an open metagame. In this installment, we’ll discuss what an open meta encourages pilots to do with the most variable slots in an established deck (hereafter referred to as flex slots). As we’ll see, proactive and reactive deck use their space differently. Modern has long prided itself on being a format in which a variety of decks can compete (a rare feat for non-rotating constructed formats), but a field this wide sticks out even here. One way to describe this metagame is “expect the unexpected.” To illustrate Modern’s diversity, I’ve summarized the results of some recent Star City Games (SCG) tournaments and Modern challenges. In the Top 8 of the recent SCG Open in Charlotte, a novel Humans deck ran through the event in impressive fashion, and Infect (a deck regarded as unplayable in Modern since the rise of Death’s Shadow) also earned a berth in the Top 8. These numbers paint an impressive diversity picture, and still don’t entirely capture how wide-open the field is. 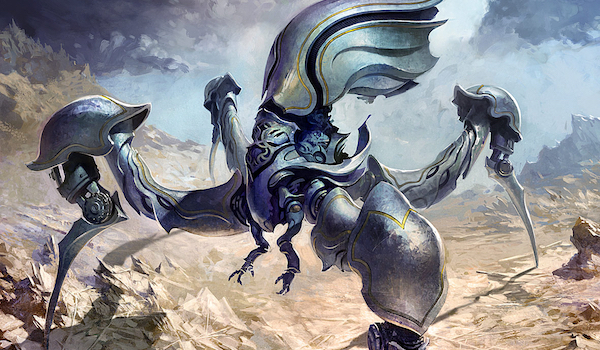 It seems like every week another deck comes out of the woodwork to crash a tournament; the October 22 Modern Challenge was won by a UB Mill deck nobody’s seen since last year’s Grand Prix Los Angeles. What does this diverse field mean for you, the player? How do you prepare for a large event, in which you’re liable to see just about anything the format’s vast card pool can offer? The first step is to take objective stock of your deck’s possible proactivity level. For instance, UW Control wouldn’t sideboard cards in the same fashion as Burn, because the two decks require different adjustments based on their respective mainboards’ capabilities. A proactive deck’s gameplan typically involves more dedication to executing its Plan A, which can be anything from slinging Bolts, to assembling a lethal board state, to simply comboing off. A reactive deck, on the other hand, molds its gameplan around disrupting what its opponent attempts to do. Decks heavy on discard spells, removal, and countermagic typically fit that description best. In open metagames, the priority for a proactive deck is to double down on its primary gameplan. It’s often tempting to hedge against certain strategies by putting in a card or two to address them, at the expense of points versus the field at large—resist that temptation. Stick to what your deck does well early on, then adjust accordingly depending on the nature of your opponent (and how they can disrupt you). To put this advice into action, let’s look at a couple of examples. Virtually all Affinity players run 2 Memnite in their maindeck, but many rotate through a variety of options for the slot that could be occupied by the third copy of the card, as it is considered flex. I believe that under the current metagame paradigm, a 3rd Memnite is the cog that fits best. The benefits of such a decision are the slightly higher odds of opening with zero-drop creatures that can switch on metalcraft, tap for Springleaf Drum, wear Cranial Plating, or just chip in with damage here and there when the ground is open. I also currently favor maindecking Master of Etherium, as that card can take over a board state and demand an answer very quickly. Finally, I’d recommend packing the full 4 copies of Galvanic Blast for a similar reason—it gets opponents dead. This list is all-in on proactivity, with Zachary relegating Etched Champion to the sideboard to max out on mainboard copies of Master of Etherium. While Champion is an undeniably powerful card and should form part of every Affinity 75, it shines brightest in the face of interaction, whereas Master of Etherium is the stronger choice when goldfishing fast kills. For another potential application of this philosophy, take Storm’s end-game. Grapeshot is the quintessential Storm payoff card, but some players are fond of a single copy of Empty the Warrens in the maindeck to hedge against disruption. However, there’s no way of knowing that you’ll face disruption necessitating an Empty the Warrens-fueled finish in game one, so those copies of Empty may be better off in the sideboard. The main cards I would consider to replace them: more Grapeshots. These extra copies increase the chance that you go off successfully without the elements that make reaching a Storm count of 20 a virtual certainty (Gifts Ungiven and a cost reducer). A different paradigm applies to interactive decks. While being as proactive as possible is usually a boon in Modern, the win conditions in more reactive decks are often too slow to risk ignoring what an opponent is up to altogether. Therefore, a reactive deck must strike a balance between cards that promote its gameplan and ones that disrupt opponents. Because Modern features decks with various angles of attack, reactive decks in such an open metagame should prize flexible, “catch-all” interactive cards that allow them to affect as many different opponents as possible. Example spells that fit the bill include Cryptic Command, Kolaghan’s Command, Liliana of the Veil, and Supreme Verdict. If your colors line up with any of them and you have open deck slots, they usually deserve consideration. 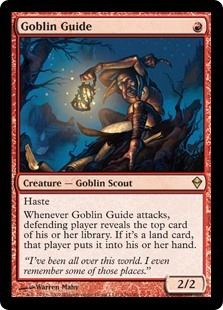 This list is built to do a handful of things at a high level: it reliably pumps out creatures with a variety of color requirements via Aether Vial and rainbow lands, it punishes linear decks with a variety of disruptive creatures, and it provides pump-based payoffs for a go-wide tribal weenie strategy. In all cases, the layers of redundancy built into the list improve its function, and attempting to diversify the maindeck with matchup-specific hedges would likely result in a worse list. In any case, the no-nonsense creature suite featured here has served the deck well over the past few weeks. Kidd dedicates his limited flex slots to Liliana, who boasts utility in aggro, combo, and midrange matchups alike; and to Opt, which helps find the diverse tools needed to take on an open metagame. A Relic of Progenitus and a Basilisk Collar may not be what immediately springs to mind when you think “catch-all interaction,” but these cards have a surprising amount of relevance against the field. Modern is home to many decks that depend on the graveyard to varying degrees, making Relic a pretty handy card to have in the main. Collar contributes to the cause by hedging against Burn and by making the “ping” effects on Walking Ballista and Endbringer more relevant against creature decks. While these are far from the only options available for these flex slots, I believe some form of interactive effect is critical in the current metagame, and a diverse field calls for flexible options. That does it for mainboard flex slots. Next week, we’ll zone in specifically on sideboarding in open metagames. If you have any thoughts on the deckbuilding philosophy principles I espoused in this article (in agreement or otherwise), please leave them in the comments section below. I look forward to your feedback, and thanks for reading.